After Thanksgiving the three of us headed out of Santa Claus, Indiana to go somewhere that none of us have been, namely Dollywood in Pigeon Forge, Tennessee. 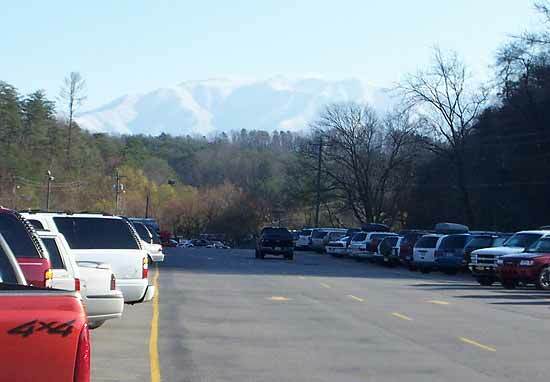 You can see the Smoky Mountains looming above us and yes they are covered with snow. There was a heck of a storm the night before but it had all melted off in the lower elevations. I know there must be a park here somewhere. 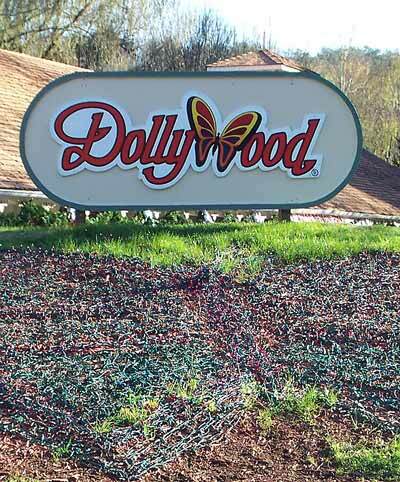 I mean we paid to park and the sign did say Dollywood. 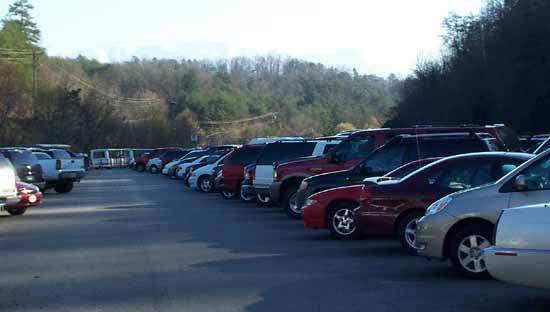 This has to be the longest and thinnest parking lot I have ever seen at a park. 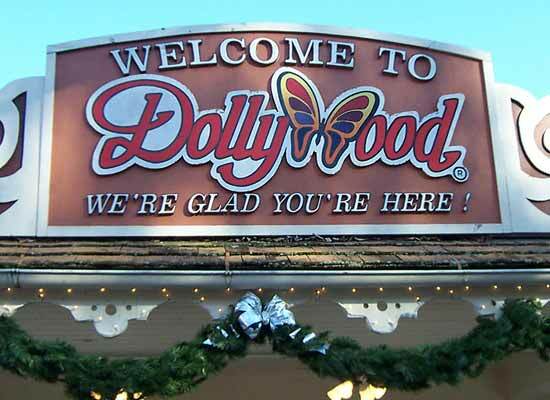 It's just because as we'd find out later at Dollywood they have to squeeze everything in between the hills. 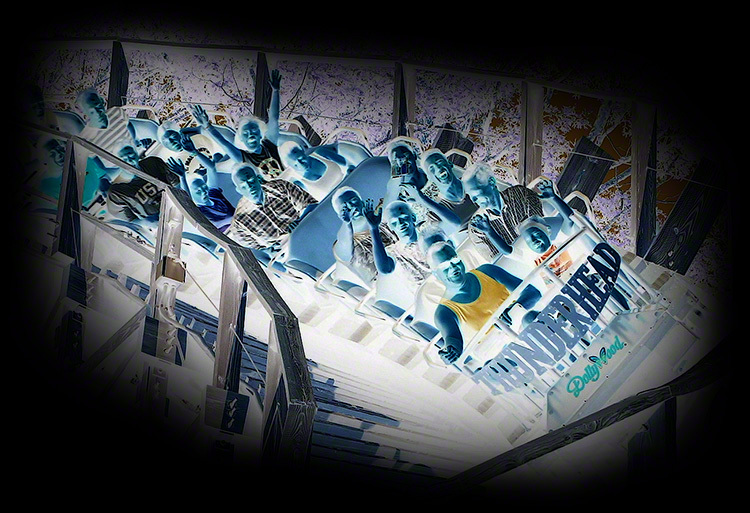 Ok, here it is. I was getting a bit worried there. Dollywood has a nice down home feel to it. You're not a customer, they make you feel like a member of the family that's coming on over to spend the holidays and visit.